Jack Connors has headed Partners for 15 years. Jack Connors, the Boston businessman and power broker who has been the highest profile figure at Partners HealthCare System Inc. for 15 years, will step down next summer as chairman of the region’s largest hospital and doctors network. Under a succession plan developed earlier this year and shared with leaders of Partners hospitals at a meeting this spring, but not disclosed publicly, Connors, 69, will turn over the chairman’s post to Edward P. Lawrence next July. Lawrence is a retired partner at the Boston law firm Ropes & Gray LLC and a Brookline neighbor of Connors. The transition is notable for its detailed planning and long lead time, unusual even for the parent organization of Harvard-affiliated Massachusetts General and Brigham and Women’s hospitals, two of the nation’s most prestigious teaching institutions. Connors was instrumental in helping their 1994 merger succeed when other hospital alliances of that era failed, and he worked behind the scenes get the state’s 2006 health care overhaul law passed. 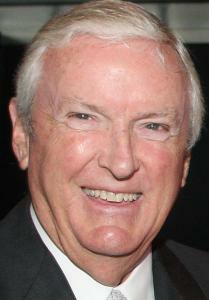 He took over as Partners chairman in 1996, two years after the organization was formed, to help board members from Mass. General and Brigham and Women’s bridge their differences. Since then, he has been elected to 15 one-year terms. Connors, who readily admits knowing little about medicine, nonetheless was asked to extend his tenure by both current Partners chief executive Gary L. Gottlieb and his predecessor, James J. Mongan. Connors said he will work closely over the coming year with Lawrence, a former Partners board member and former chairman of the Mass. General board, who will rejoin Partners’ board as vice chairman next month before ascending to the chair next year. As Partners chairman, Connors has worked to smooth over tensions between doctors at Partners’ hospitals and was cochairman with William C. Van Faasen, former chief executive of Blue Cross Blue Shield of Massachusetts, of a business consortium that pushed for the state’s universal health coverage law. He has also been an occasional lightning rod for critics who contend that Partners’ market dominance has helped drive up the cost of medical care in Massachusetts. As other hospital chains struggled to integrate their clinical organizations, Connors said he urged Partners to tread lightly with its teaching hospitals. Rather than tinkering with successful medical practices, he said, the organization’s corporate office has focused on nonclinical functions such as finance and information systems, while leaving health care to the hospitals. Gottlieb credited Connors with creating the “thoughtful governance partnership’’ that has enabled the hospitals to prosper. Annual revenues at Partners hospitals, which also include Faulkner Hospital, McLean Hospital, Spaulding Rehabilitation Center, and several community hospitals, have more than quadrupled since the organization was created. Connors’s departure plans come at a time of rapid changes in the health care industry, both in the state and nation, that have put Partners and other medical care providers on the defensive. As state lawmakers debate a bill that could change the way hospitals are paid and give regulators authority to approve health care pricing, Attorney General Martha Coakley is expected to release a report later this month citing Partners hospitals among those that charge more for the same health care services other hospitals offer at lower prices. The state and federal governments, meanwhile, have been cutting back on funding for Medicare and Medicaid, the public health insurance programs that cover older and low-income residents. A Coakley report last year found little difference in the quality of care between Partners and competing hospitals despite substantial price differences. That echoed the findings of a 2008 series on Partners by The Boston Globe’s Spotlight Team. Connors said he understands the concern over rising prices, but said that Partners has been working to limit cost increases and make health care more affordable. And he rejected the notion that Partners doesn’t offer superior medical care. Partners hospitals, however, will have to work harder to retain their leading market position in coming years. Several other Massachusetts hospitals have merged or are exploring affiliations, in an effort to challenge Partners. Two other Boston teaching hospitals, Beth Israel Deaconess Medical Center and Tufts Medical Center, are in the process of hiring new chief executives. Connors, who founded the Boston advertising agency Hill Holliday, has been a longtime insider at a number of area businesses, charities, and nonprofits — including the Edward M. Kennedy Institute for the United States Senate — and is a prominent Democratic fund-raiser. Last month, he hosted a $35,800-per-couple event for President Obama at his home in Brookline. He also recently joined an investor group that has been raising money to make a bid for The Boston Globe. He said he has spent an average of two days a week on Partners business over the past decade and is ready to step away. But he said the challenges will continue.